Off the Shelf airs on the Radio Riel stations, and we were thrilled to hear it was nominated for an Avi Award. See the details below, and please VOTE FOR RADIO RIEL!!! Radio Riel (http://radioriel.org), an Internet radio station founded and based in the virtual world of Second Life, has received a nomination in the “Favorite SL Radio Station” category for the 2011 Avi Choice Awards, the annual awards that recognize talent in Second Life and that are determined by the votes of SL residents. Voting is active now and ends on December 5th at 12pm SLT. All awards will be presented at the Avi Choice Awards show on December 10. Radio Riel was founded in Second Life on June 1, 2007 in the Independent State of Caledon with the goal of providing a “soundtrack” of Classical and English Folk music to the Neo-Victorian and Steampunk communities. The station has since grown to six separate audio streams, each with its own style and genre of music. Its listeners are residents of Second Life and a continuously growing population of non-Second Life listeners tuning in over the Internet. The Radio Riel Main stream features a different genre each day in Classical or Folk music that was written prior to 1950. Radio Riel New Toulouse is the music of New Orleans, primarily from the first half of the 20th Century. Radio Riel Steampunk is one of the only Steampunk radio stations in the world, and plays Steampunk, Goth, Darkwave, Dark Cabaret and more. 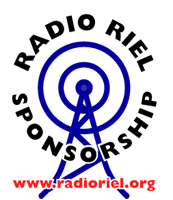 Radio Riel Dieselpunk features Jazz and Pop music from the 1930s and 1940s. Radio Riel Reverie has Early Music, New Age, Downtempo Electronica and more. Finally Radio Riel Volksmusik plays folk music from Central, Northern and Eastern Europe. Radio Riel also features scheduled programming such as live music shows with commentary (World Music at Madhu’s, Jazz by the Canal, Breakfast in Babbage, Audite Nova, Sekai no Discoteque), audio dramas (Riel Radio Theatre, the ZBS Radio Hour, the Radio Riel Players Present) and the literary podcast “Off the Shelf”.